We are ISA-certified arborists with 30 years experience. We provide budget-friendly tree care and tree maintenance services in Seattle, WA and across the Puget Sound. From tree planting to demolition and tree removal, you can count on our tree service expertise to cover all your needs. For over 30 years, Ballard Tree Service has been serving cities near Seattle with experienced, committed tree removal and care services. Our long familiarity with the intricacies of arboriculture and deep commitment to customers has helped our business to where we are today. We have achieved a well-earned reputation in the area for competitive rates, prompt service and exceptional work. From start to finish, our team remains dedicated and follows through, no matter how large the job. Owner of Ballard Tree Service, Inc.
A former city of Seattle firefighter, Greg Allen has owned and operated Ballard Tree Service for over 20 years. He knows from experience exactly what his customers expect from their local tree care and removal company. Highly skilled technicians, a commitment to quality, attention to detail, meticulous clean-up of your property – these hallmarks of exceptional services have been adopted as the standard of Ballard Tree Service thanks to Greg. 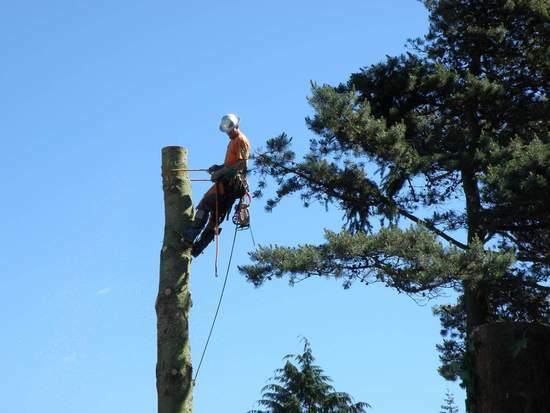 Contact us for expert tree cutting and maintenance for cities and towns near Seattle, Washington including Mercer Island, Bellevue, White Center, Kirkland, Burien, Newcastle, Tukwila, Renton, Shoreline, SeaTac, Lake Forest Park, Redmond, Kingsgate, Kenmore, Sammamish. © 2019 Ballard Tree Service, Inc.